St. James’ Park will host the opening ceremony of the Rugby League World Cup in 2021. The announcement was made on Tuesday 29th January, with Newcastle the first host city to be confirmed. 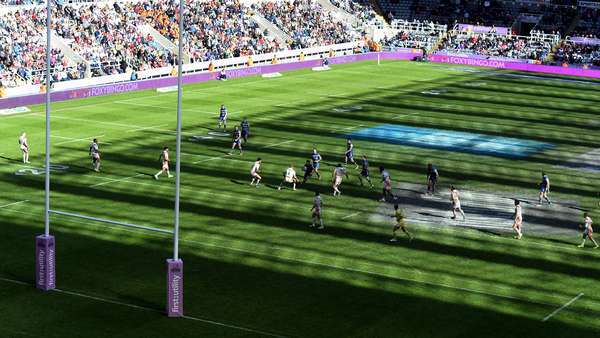 The home of Newcastle United already has strong links to the sport after hosting Super League’s Magic Weekend for four consecutive years from 2015 to 2018. The stadium has also hosted elite level rugby union, including both domestic and international fixtures - with England set to host Italy at St. James' Park in September 2019. The Rugby League World Cup is the pinnacle of the international game and was last held in Australia, New Zealand and Papua New Guinea. Co-hosts Australia are the current holders after defeating England 6-0 in the 2017 final in Brisbane. The 2021 Rugby League World Cup will get under way in October 2021 and tickets will go on sale in late 2020. Manchester United’s Old Trafford will host both the men’s and women’s finals. To find out more, please visit rlwc2021.com.